And now for the weather. The monsoon arrived. 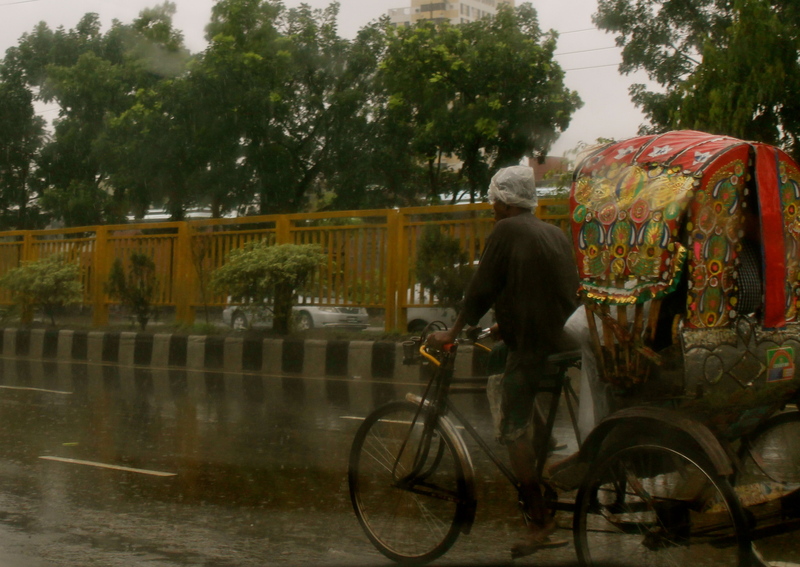 When it rains, the rickshaws are still a popular form of transportation. 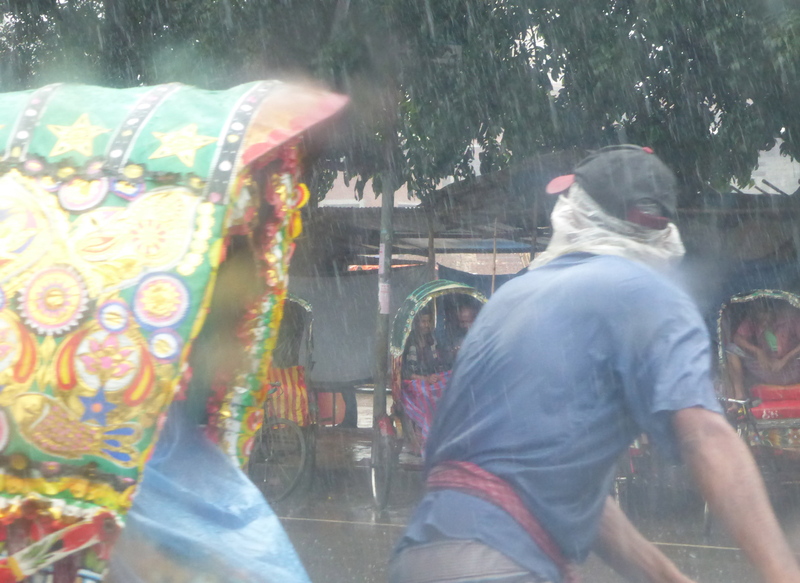 The driver will often cover his hair in a plastic bag (banned as carrier bags two decades ago) and the passengers get a blue tarp to pull over their legs.